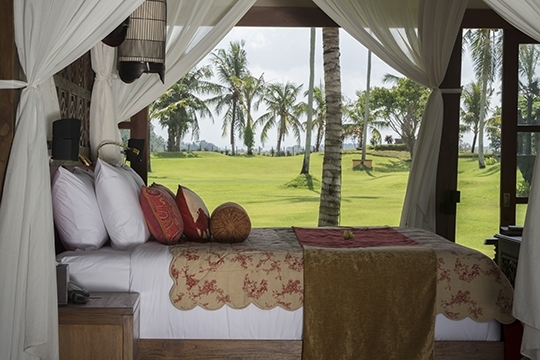 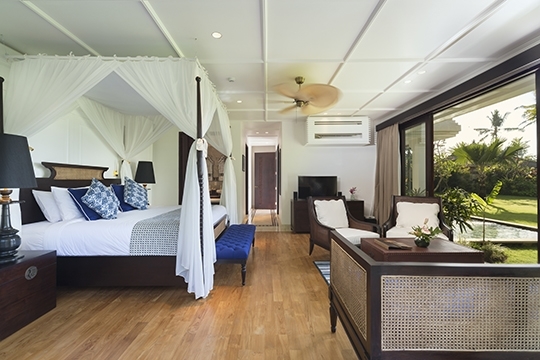 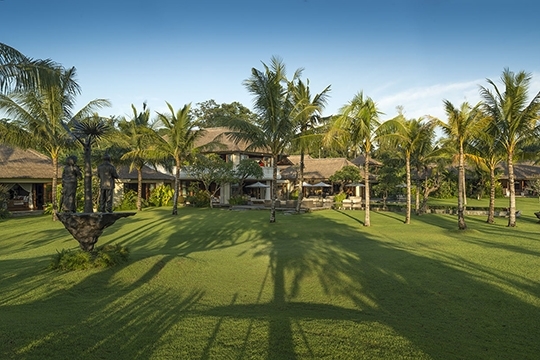 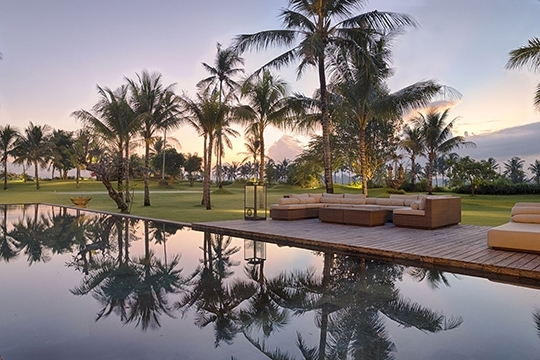 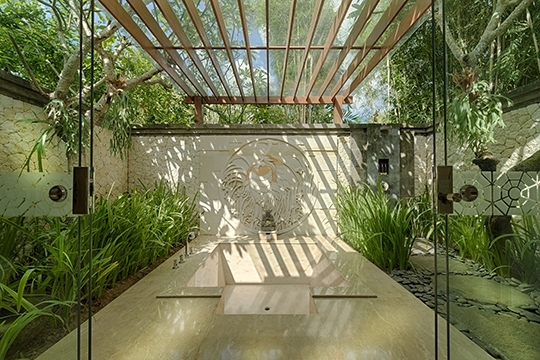 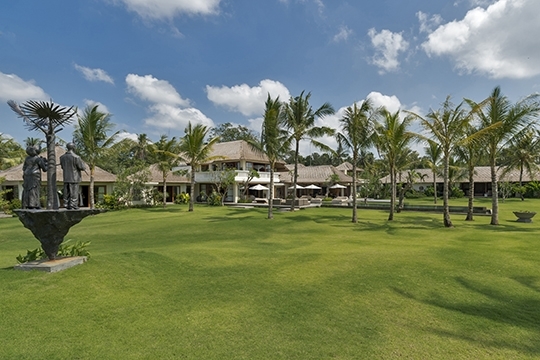 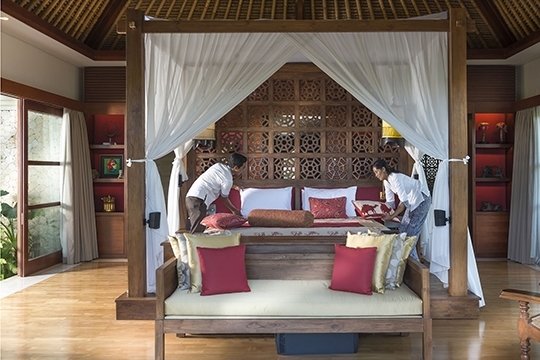 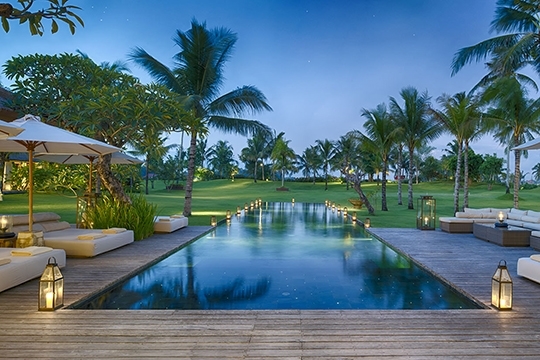 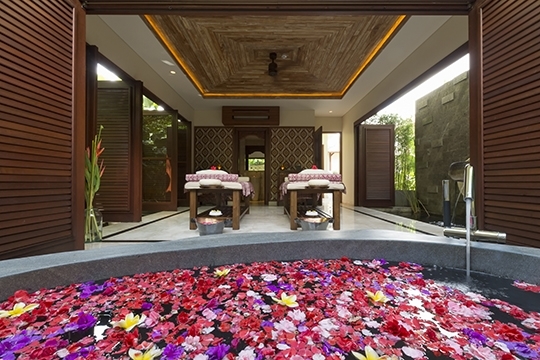 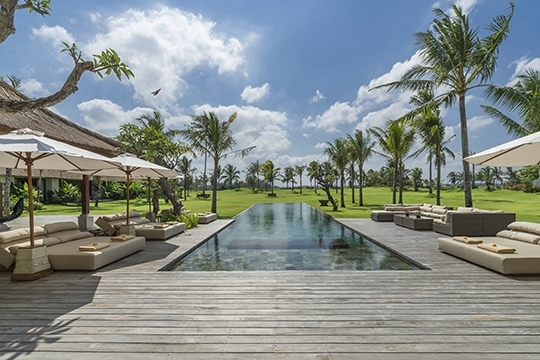 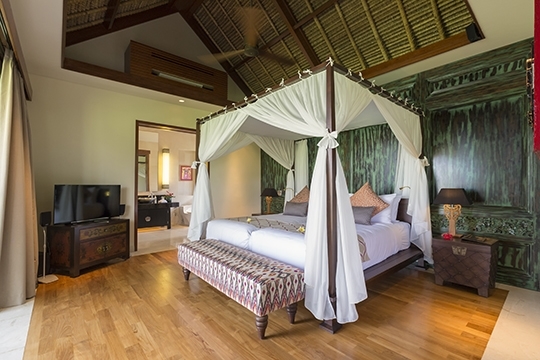 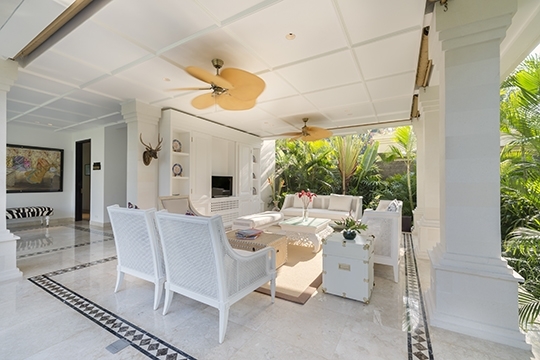 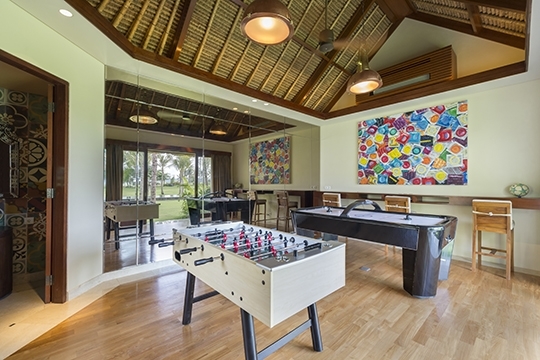 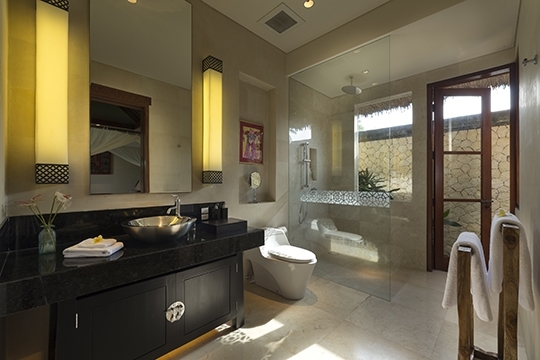 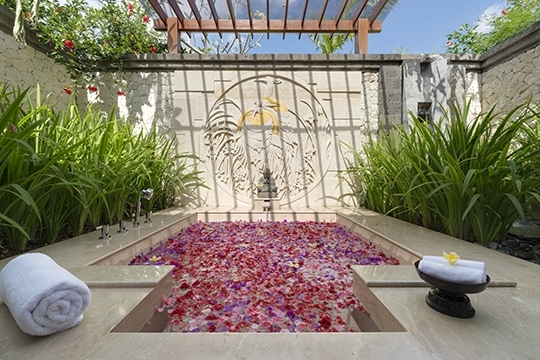 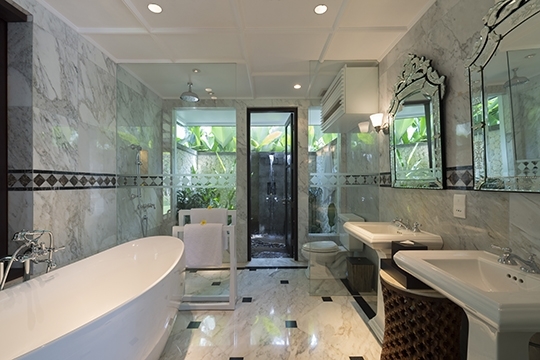 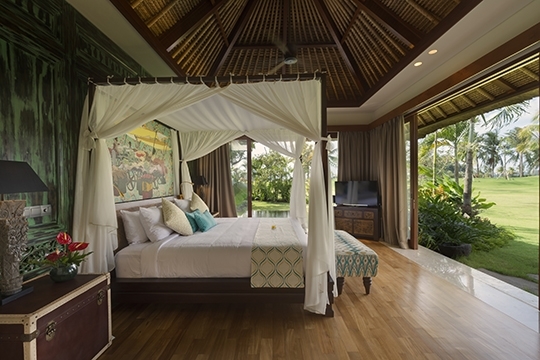 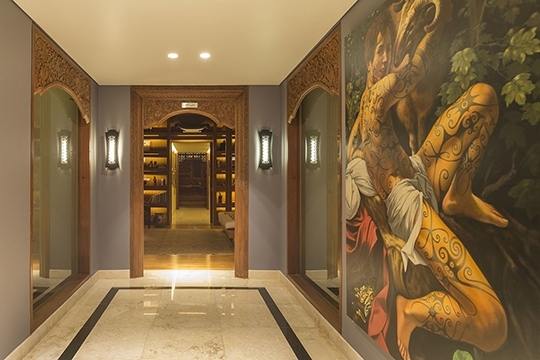 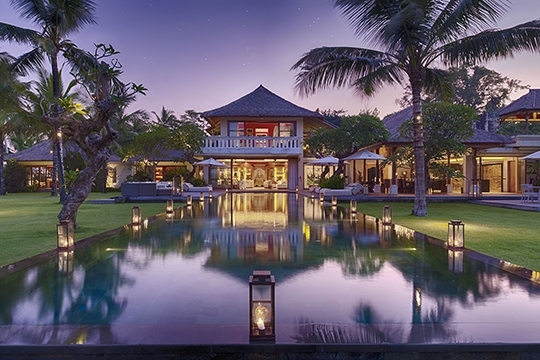 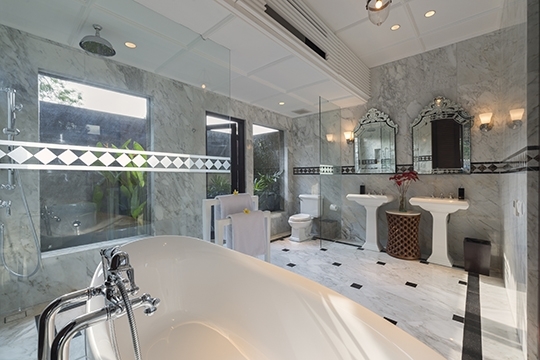 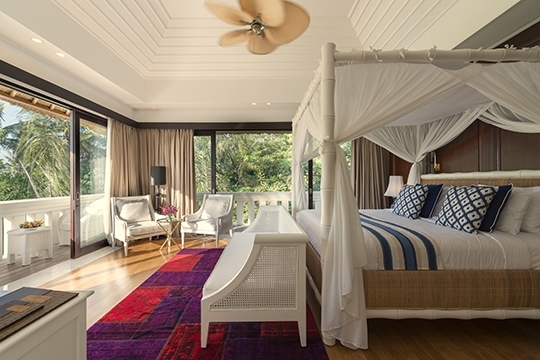 Kaba Kaba Estate - an elite haven | Pictures, Reviews, Availability | Bali Villas: Private and Luxury Vacation Rentals in Bali. 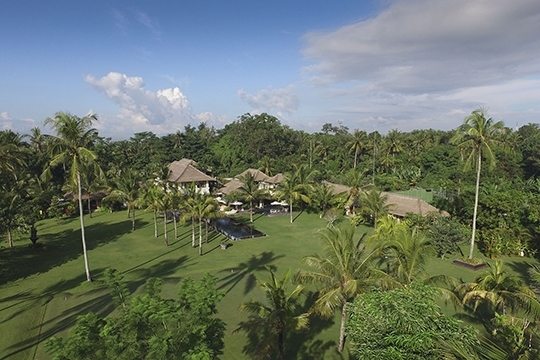 Kaba Kaba Estate is a regal, no-expense-spared property in Bali’s Tabanan regency, arranged among three acres of gardens with spectacular views over rice terraces stretching to the distant, volcano-strewn horizon. 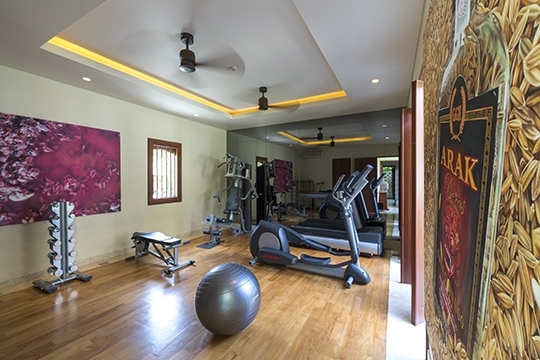 Its series of individual pavilions house eight bedrooms, a home theatre, games room, library, gym, spa, and multiple living areas showcasing antiques, artefacts and contemporary art. 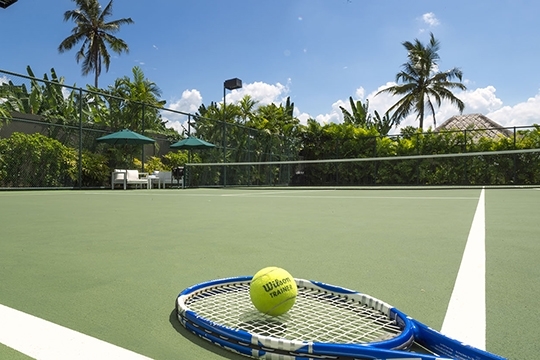 Within the gardens is a choice of pools - including a children’s wading pool - as well as a tennis court and croquet lawn. 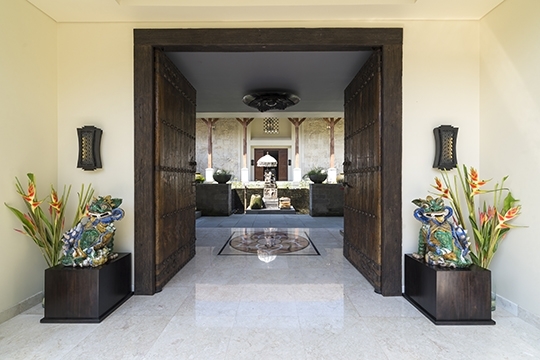 Fully staffed by a highly professional team, Kaba Kaba Estate offers five-star service and is the ideal location for luxurious holidays, parties, celebrations and romantic weddings. 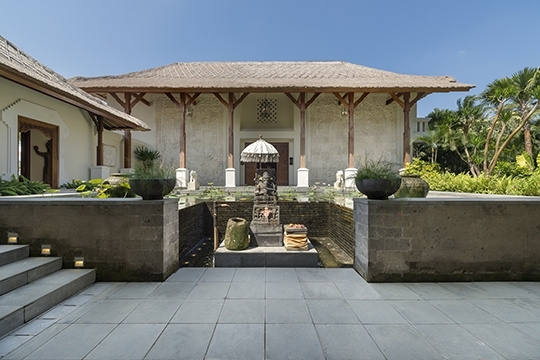 Among the treasures of Kaba Kaba village are myriad temples including an ancient shrine from the 14th century, pre-dating the arrival of the Majapahit court. 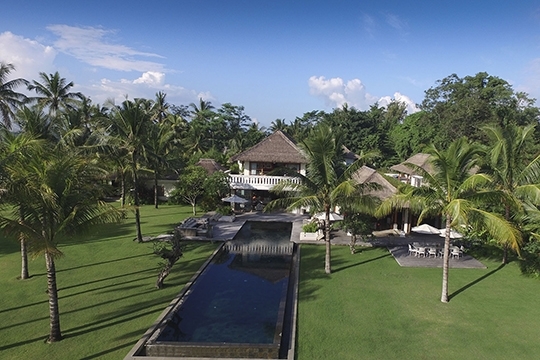 Bali’s iconic Tanah Lot sea temple is a ten-minute drive away, as is the wild black-sand beach at Seseh. 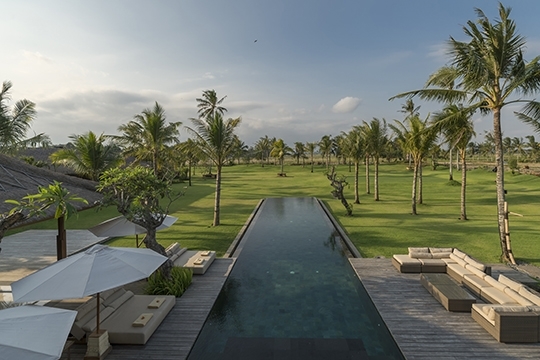 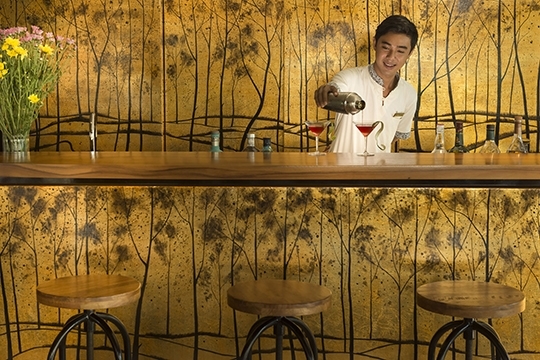 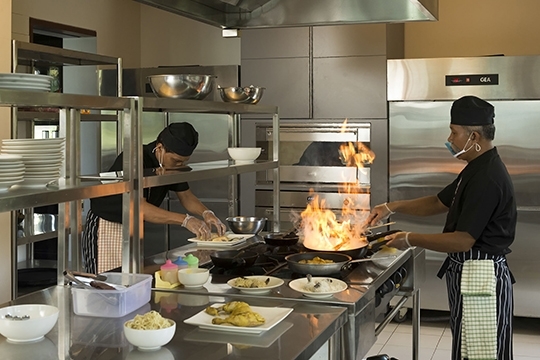 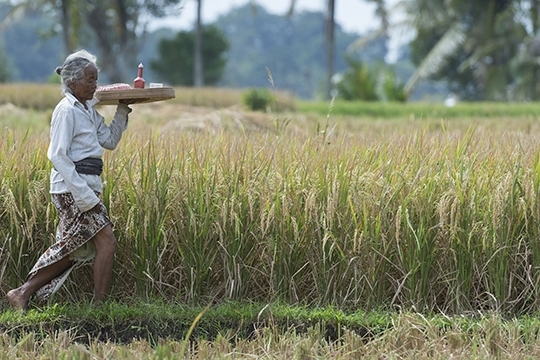 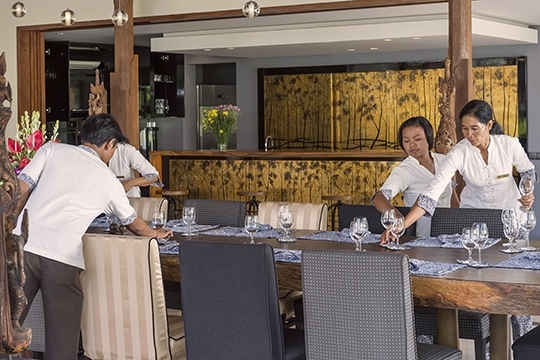 The surfers’ haunt of Echo Beach, with its smattering of casual waterfront cafés, is only five minutes further, and the glamorous boutiques and restaurants of Seminyak are less than half an hour from the villa.